Without a ship Columbus could not have traversed the Atlantic, without a telescope Galileo could not have charted the solar system, and what the MOOG SYNTHESISER opens up for the future of music is beyond dreams. This enthusiastic proclamation was originally published on the back cover of Moog Indigo by Jean Jacques Perrey (released on Vanguard in 1970). Conveying the optimism of an earlier era, it offered new adventures and promised to make the impossible possible. 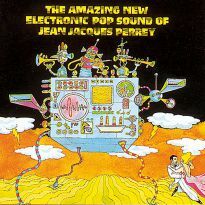 It was overlooked by a generation.The obscure composer Jean Jacques Perrey was born in a little village in northern France in 1929. He learned piano by ear, teaching himself after receiving an accordion as a Christmas gift at the age of 4. By 1952, Perrey was studying medicine, until he met George Jenny. Jenny had just invented the Ondioline, a keyboard capable of reproducing the sound of many melodic instruments while creating electronic timbres simultaneously. Perrey left medical school to travel through Europe's many cities, demonstrating this ancestor of the modern synthesiser. The Ondioline gave Perrey his first hit, performing with French singing star Charles Trenet and playing alongside Django Rheinhardt on Soul Of A Poet. Their success introduced Perrey to Jean Cocteau, who told him: You should try to become well known across the ocean. You have a mission on this earth, because you were born to create.Through Cocteau, Edith Piaf organised a trans-Atlantic crossing on Perrey's behalf. 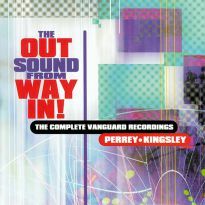 Relocating to New York in 1960, Perrey became one of the first Moog musicians, creating weird beatnik electronic jams, before inventing what he described as a new process for generating rhythms, utilising the environmental sounds of musique concrete. This was evident on THE IN SOUND FROM WAY OUT and KALEIDOSCOPE VIBRATIONS: SPOTLIGHT ON THE MOOG (both Vanguard, 1966 and 1967 respectively) written in collaboration with Gershon Kingsley, one of John Cage's acolytes of the early 60s. Using only tape recorders, scissors and splicing tape Perrey and Kingsley spent weeks piecing together their uniquely comic take on the future. They also collaborated on sound design for television commercials and won a Clio Award in 1968, writing an extremely wild soundtrack for Volkswagen.Perrey returned to France in 1970, composing for television and scoring for ballet. 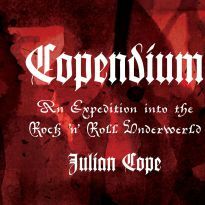 He has produced numerous solo albums, soundtracks, commercials and therapeutic sounds for insomniacs. 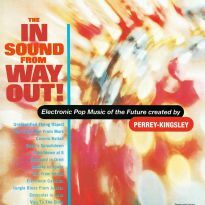 On reflection audiophiles agree that Perrey was ahead of his time. Little could he have known that his far out electronic entertainment would attain a credible vogue, a certain 'in-the-know' notoriety, a quarter of a century later. Now Ace are set to reissue this long lost treasure chest, characterised by exotic moods and deliciously weird breaks. 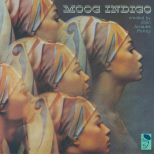 MOOG INDIGO, which includes the much in-demand track E.V.A. 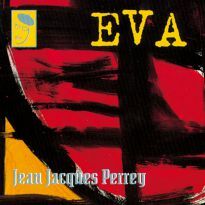 makes a welcome return, with Jean Jacques Perrey rediscovered by a new generation it's an appropriate release. After all, the 90s are a decade in search of an identity, a sample-scramble where the future lies in the past. (c Desmond K. Hill).